5. What do you mean when you say gigabyte, megabyte, GB, and MB? 4. What is a control panel? 2. What are web servers? Why are they necessary? 3. What’s the difference between shared, dedicated, and other types of hosting? Tag Cloud: Budget web hosting, Low budget web hosting, $1 web hosting, 1dollar web hosting, website builder, unlimited $1 web hosting, cheap $1 unlimited web hosting, cheapest web hosting, Reliable $1 web hosting, HostBudget. 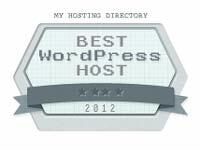 © 2016 Web Hosting Tutorials. All rights reserved.